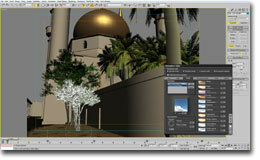 E-on Software issued two press releases during Siggraph that hinted at the new features of Vue 7. 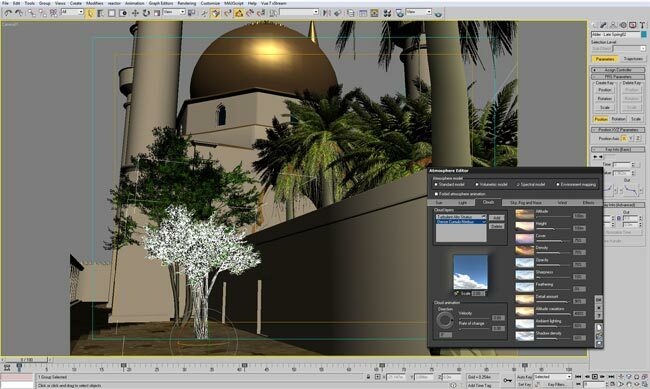 The second one had a preview image of Vue 7 XStream integration in 3DS Max.The first press release indeed insisted on More Robust, Seamless Integration with the Leading DCC Solutions. Vue assets will be directly accessible from within the host application’s interface. Terrains are now mostly generated procedurally.They can be infinite, just like infinite planes. Ecosystems can be applied to them. Ecosystems are now only applied to areas the camera can see. This is probably a consequence of the above and will be a very handy feature to save resources. New water object with options to generate foam automatically where water meets a terrain surface. 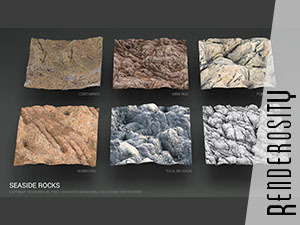 It also supports displacement and makes the creation of deep waves very easy. Faster preview renders and faster renders overall. The render engine may have been entirely rewritten and use bucket based rendering. This is consistant with the announce of faster renders by E-On. Improved radiosity rendering, especially for interior scenes. From the samples that were displayed, Vue 7 is able to produce nice noise-free images . The spectral 2 atmosphere introduces new parameters for clouds: sharpness and feathering. Clouds are apparently very realistic in this new version, appearing like real objects and interacting with light very nicely. A function editor enables a complete control of their shape, pattern. The new radiosity engine will improve inside shots and make it more useable for architecture renders.